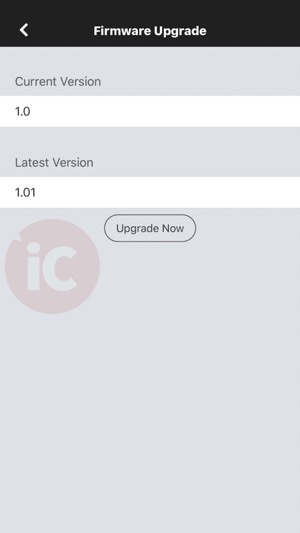 The first Apple HomeKit supported security camera, the D-Link Omna 180 Cam HD, recently received its first firmware update. 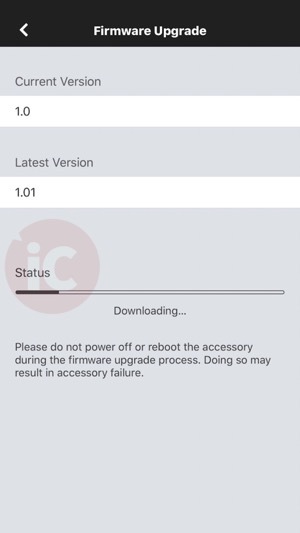 Updating firmware on the Omna 180 was very easy. 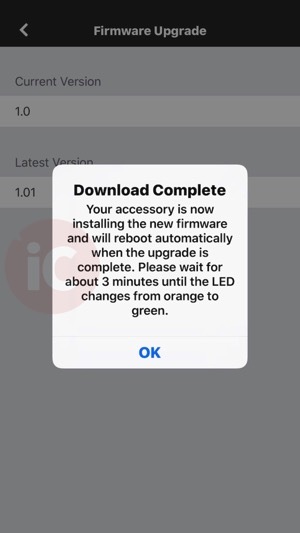 A push notification within the Omna iOS app alerts you a firmware upgrade is available, and all you have to do is tap ‘Upgrade Now’. 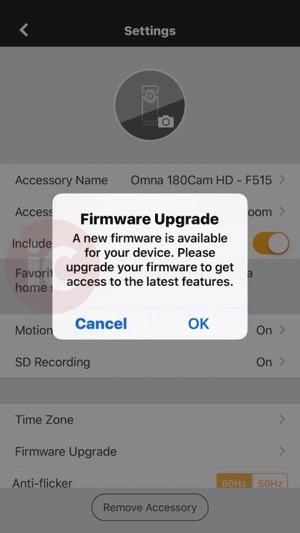 According to D-Link in an email to iPhone in Canada, this update “Fixed flicker issue caused by 50Hz/60Hz power frequency.” Users of the Omna 180 now have an option to choose between 50Hz and 60Hz in the Omna app’s settings. Click here to read our D-Link Omna 180 Cam review. The D-Link Omna costs $269.95 on Apple.ca.